Former Nairobi Mayor who is currently the Nairobi ODM chairman George Aladwa has been arrested by the Flying square over the offensive utterances he made at a public rally on Mashujaa day. 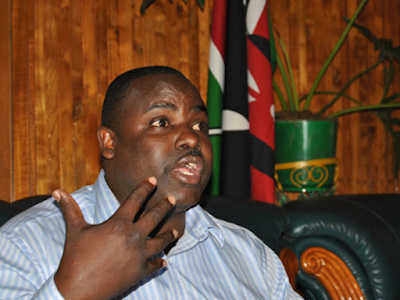 Aladwa was arrested at the railways Club in Nairobi on Today and taken to the police station for further questioning. The arrest comes a day after the Director of public prosecution Keriako Tobiko directed the police to question him over the utterances heard in a video which was shared via the the social media. The video went viral yesterday with many people questioning why nothing has been done. Keriako Tobiko directed the criminal investigation department head Ndegwa Muhoro to arrest and conduct a speedy investigation into the matter and forward the file to prosecutor's office for further action. The national Cohesion and Integration Commision (NCIC) said it had also initiated a separate investigation into some utterances purportedly made by the former mayor. “We, however, have not received an official clip as stipulated by the Evidence Act. We are still relying on the clips that are available online, for our investigation,” said NCIC Commission Secretary Hassan Mohammed.